Polam celebrates Bedfordshire Day with Clangers! This morning we celebrated the first official Bedfordshire Day by learning all about Bedford’s most famous food – the Bedfordshire Clanger. 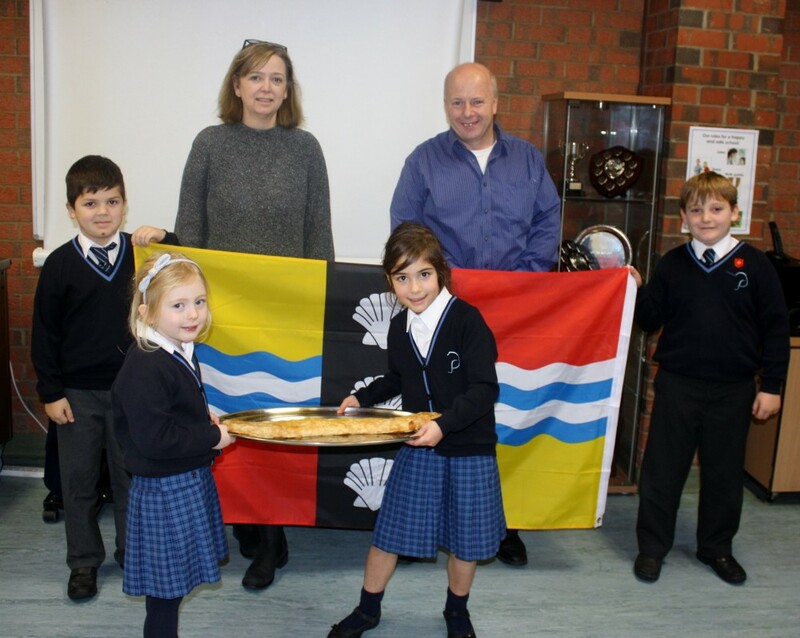 David Gunns from Gunns Bakery in Sandy, whose children used to attend Polam, visited the school and talked to the children in a special Bedfordshire Day assembly about the Clanger’s history and how they are made. He even showed us a poem and a song written about the Clanger! As a special treat Mr Gunns baked some giant Clangers especially for the occasion, which were cut up and eaten at snack time by pupils and staff. The children were very taken by the idea of a snack with dinner at one end and dessert at the other and gave Mr Gunns lots of food for thought regarding future pudding options!